Have you just had a positive pregnancy test and are wondering, “what now?” Northwestern Women’s Health Associates , located in Chicago, is here for you. 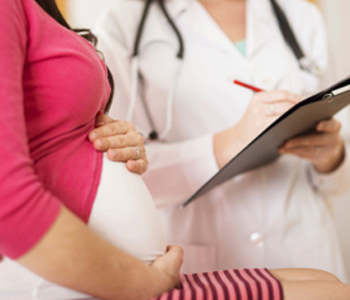 We offer quality obgyn obstetrics services. We strive to form personal relationships with each patient to provide excellent care and optimal health. We believe that education is instrumental in providing superior care and helping to prevent future problems. Prenatal care – We begin to see you between seven and ten weeks of pregnancy. If you have a normal gestation, these initial appointments occur every four weeks. Frequency increases the further you get in your pregnancy. During visits, we do blood work, periodic ultrasounds, urine analysis, fetal heartbeat monitoring, and gestational diabetes testing, as needed. Risk assessment – We help determine potential future problems and treat accordingly. Education – We ensure time during your appointments to answer any questions you might have. We feel this helps ease anxieties and keeps your pregnancy as low-stress as possible. We recommend writing down questions you want to ask before your appointment, so you don’t forget. Discussion of labor and delivery – We help make a plan for your labor and delivery, including how you want to manage pain. Labor and delivery – Not only are we there for delivery at the hospital, we do follow-up visits at the hospital to ensure that you are recovering, and answer any post-delivery questions you might have. Postnatal care – We do a follow-up check at six weeks. Also, if any complications ensue, we help resolve those problems promptly. The obgyn obstetrics team at Northwestern Women’s Health Associates in Chicago, is eager to help deliver your beautiful baby and give both of you a start on a healthy relationship. We tailor a treatment plan to you, your pregnancy, and your lifestyle. Call us today at 312-440-9400.